My season really started in august when like most people I had a rush of blood to the head and a tax return burning a hole in my pocket 😁 I went and bought a brand new TT bike , the reason was I wanted to do Busso 70.3 solo, I had done it as a team cyclist in may 2016 And had got the bug!! By September I had entered it as well……another rush of blood. Once I had the bike I then was committed, I joined our club and started a strength training program. This season for me was to get into club life and finish all the events I entered, all had their challenges but were met and completed. So to get a bit of a look at what I needed to do this season I was doing a bit of training….what I thought was good enough. Hahhahahha how wrong I was, I couldn’t swim 750m with out switching to breast stroke, couldn’t run 1k with out my lower back giving up on me, my cycle was my strongest leg but I was pushing too hard and my legs and back were even worse. All of this was made very clear at the interclub event at Mandurah. So I spoke to the club and got some training plans and loads of advice and the improvements came in big waves, kept to the strength program and the results were coming, all the work was starting to come in results in the way of being able to complete the distances. Because the goal was Busso 70.3 I needed to do more distance races to get used to them, so I did my first Olympic distance in Busso in January and also did Karri Valley (the hardest day in the office…) and the longer distance in the legs was paying off again. By now I was well into the club 70.3 program with Peta and loving the structure and club life, I could now do the full sessions in the pool and swim all distances and my lower back issues were gone. Roll on May and Busso 70.3. All was well with the body, I think I was the only one with out man flu that week hahaha. With everything set up and ready to race I was very calm and soaking it all in , a few bouts of banter before the race with Trav and other competitors was fun, until some one mentioned a shark in the fun and banter (you know who you are…..) Well needless to say everyone know Mr Shark did come to say hello to the the competitors in the last wave, yes my wave… I got pulled from the water like a fish and dumped onto the deck of the boat, 300m from the beach. 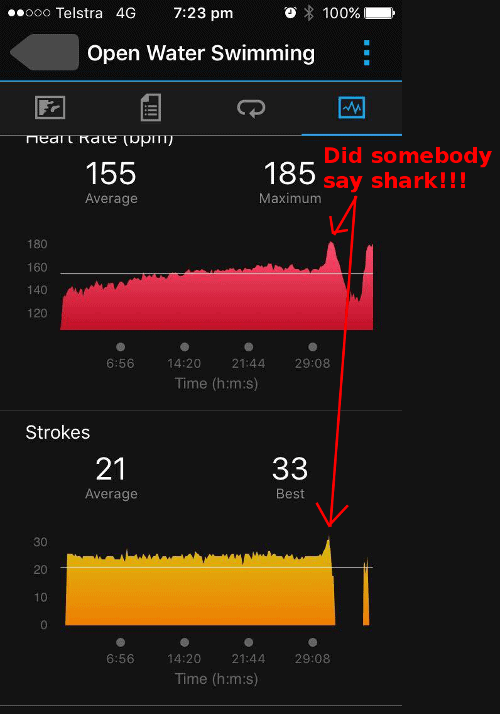 I didn’t think too much of it once I was on the boat however the heart rate says different when told to get out the water! To the coaches Trav and especially Peta, thank you for all your help this season and getting me through my first full season. Onwards and upwards from here for me. Ever wished you could be a model with people throwing cash and gifts your way for doing nothing but looking amazing? Well now you can! 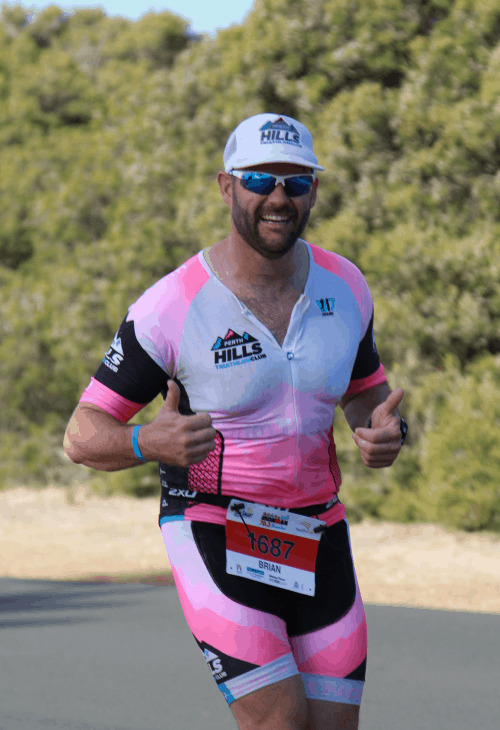 Triathlon WA has just launched its Show Us Your Kit competition and it’s your opportunity to demonstrate the undeniable fact that Perth Hills Tri Club has the best looking kit in WA, if not the world. As well as winning a Fly6 rear light and camera if your photo is chosen as the winning image you will also get $200 cash and the club a further $300. How good is that!!! The Show Us Your Kit competition is being run by Triathlon Western Australia (TWA). Entries for the Show Us Your Kit competition open on the 20th October and close at 5pm on the 17th The winning individual and winning club will be announced on the 21st November. The competition is open to all current TWA members and triathlon clubs affiliated with TWA. To enter the Show Us Your Kit competition individuals need to follow Triathlon WA on Instagram (@triathlonwa), share a photo to Instagram that shows off their club kit, include the hashtag #showusyourkit2016 and tag Triathlon WA using @triathlonwa. Chance plays no part in determining the winner. An independent panel will assess all competition entries on creativity and originality. The individual who submitted the winning entry will be awarded a Fly6 rear LED light with built in HD camera, RRP $199, and $200 cash (total value $399). The affiliated club that the winner belongs to will also be awarded a prize of $300 cash. The total value of the prize pool is $699. The Show Us Your Kit competition is in no way sponsored, endorsed or administered by or associated with Instagram. We are pleased to announce that we will be presenting a club champion trophy this year (amongst other awards) and we’d like to let you know how it will work. Firstly you need to be a full racing/training member of Perth Hills Tri Club. Each MULTISPORT official race during the financial year will have points up for grabs! These points will be based on the position that you finish and the number of starters in your category. We will be promoting the races run by other tri clubs to help keep these viable and these races will also contribute to Perth Hills Tri club points in the TWA Club Challenge so you will receive bonus points for any of the club run races listed below. If you send us a photo from the race wearing club kit you will also receive bonus points. We should be able to keep track of the main races in the calendar but we may need some help to make sure we get it all right. We have an excel document that does all the calculations for us but it isn’t going to be able to do it’s magic if it doesn’t know that you raced and as volunteers we won’t be able to check every results list. You will need to notify us of a race and send us a link to the results if possible within a month of the race to get those points added to the tally. Of course, much of the time we will already be aware of those results but best you check and then we know we have it right! At the end of the season there will be no adjustments made if you have missed points because we weren’t notified. Happy Racing and good luck!! Less than a month to Busselton 70.3 and it’s time to be putting in some key sessions to be ready when the big day comes. A week of mild weather bodes well to put some solid training in the bank, knowing that there is time for rest and recuperation after the race. This weekend there are two races on Sunday at Coogee (Olympic distance) and Hillarys (sprint) with athletes split between the two so our usual Sunday ride will be moved to Saturday to allow those not racing to head to either venue for moral support. The club marquee will be heading to the sprint for maximum exposure, make sure you drop in and say “hi” whether you’re a regular, new to the club or just want to see what we’re all about. Meeting at 6pm, Riverside Park in Woodbridge for another session of quality intervals. As always there will be something for athletes of all levels and kids are welcome as there is a fantastic playground and plenty of space to run and play. As it is getting dark fairly early we would recommend bringing a torch or head lamp so that you don’t need to cut the session short on account of light. The surface is flat and paved so very safe. Our stationary bike interval session starts at 7pm sharp so arrive by 6:45 to give yourself time to set up. BYO turbo trainer and bike, limited additional trainers are available but as numbers are increasing please contact us to reserve one for you. Total session time around 1hr finishing with a 5-15min transition run to get the legs used to running off the bike. No chance of getting dropped, no traffic and very low probability of falling off makes this a great training session for the novice and strong rider alike. This week we have a change of venue: 10 Lindsay Street, Kalamunda. Park in the front yard under the big tree and walk around the back of the house to the patio. Meet at Deep Water Point near the boat ramp, ready to roll out at 6:30am. You will be spending a lot of time down on the tri-bars at Busselton so this is a perfect opportunity to replicate that and practice race pacing and nutrition. As this ride is straight out and back you can turn around at any point and go at your own pace or stick with a group. This location is perfect for a run off the bike and coffee afterwards too. Looking to do your first Ironman 70.3? Not quite ready to do it solo? Would like to enter as part of the team but may not be able to afford the entry fee?? Here is an opportunity to aid Muscular Dystrophy WA and be part of our club team in the MDWA Teams Challenge at SunSmart IRONMAN 70.3 Busselton 2016! What is the MDWA Teams Challenge? In 2016 TWA are continuing the MDWA Teams Challenge in support of their official charity partner, Muscular Dystrophy WA. Currently, there is no treatment or cure for muscular dystrophy. Those with muscular dystrophy face daily challenges; their muscles waste away, they are often confined to wheelchairs and put simply are not able to enjoy the luxury of completing a triathlon. How will the MDWA Teams Challenge work? Triathlon WA will allocate one FREE entry to every affiliated TWA Club to compete at the SunSmart Ironman 70.3 Busselton teams event held on Sunday 1st of May 2016. Please note these entries CAN NOT BE SOLD OR TRANSFERRED and are only available for TWA CLUB MEMBERS to enter. The entry cannot be used to refund a team that is already entered in the event. It needs to consist of people who have not entered. The MDWA Teams Challenge participants will compete in a separate category for TWA affiliated clubs, with the fastest team being awarded the TWA Fastest Club Trophy. In addition to this the team that raises the most amount of money will also receive a trophy and fantastic prize pack for their club. So I have to fund-raise? A minimum of $500 must be raised to be eligible for the MDWA Teams Challenge, this is barely the cost of a normal team entry. TWA and MDWA will assist clubs in setting up a fundraising webpage via everyday hero. TWA will also be provide Perth Hills with a fundraising guide with ideas on how to get our fundraising started. You might be racing as a team of three but the fund-raising team consists of the whole club. You won’t be doing this alone. What do we need from you, our members? Please nominate your interest to us ASAP but by Monday 7th March (latest) at petaw@perthhillstri.org.au Also let us know which leg you are interested in doing (with a backup plan should someone already have put in dibs on your preferred leg). First come, first served so if there are a few of you that are keen to do it together then please get on board quickly! The sooner the team can be put together, the better so that TWA can assist us in setting up our webpage and getting started on fundraising. It’s looking like a pretty moderate sort of week, weather-wise, so there are no excuses not to get outdoors and train the house down. Most of you have at least a few weeks break before your next race so it’s time to lay the foundations for a great end to the season. If you’re planning a few weeks ahead go to our training calendar page for sessions beyond the end of the week. Riversid Park, Woodbridge. Be ready to start by 6pm for a warm-up, some solid intervals to be finished by 7. As always the session will be modified based on your individual requirements and fitness level so don’t be intimidated, just come down to see what it’s all about. BYO turbo trainer and bike. 6:45pm for a 7pm start. 37 Brunswick Bend, Jane Brook. Total session time around 1hr finishing with a 5-10min transition run to cool down. Limited additional trainers are available, please contact us to reserve one for you. 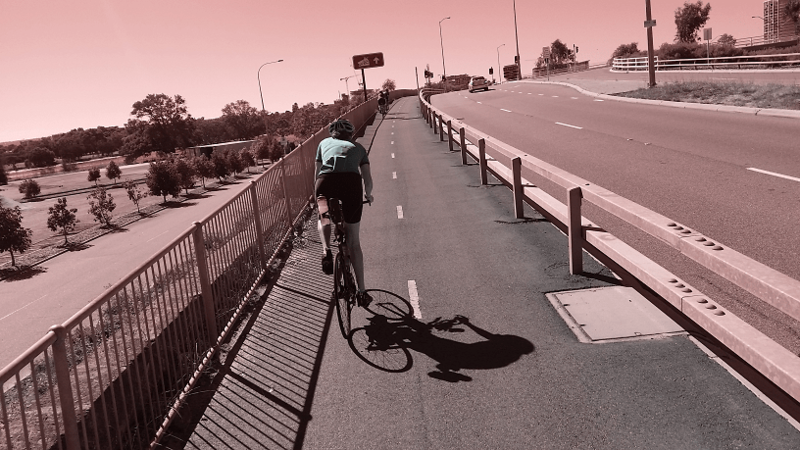 Meet at Yahava Coffee car park in the Swan Valley for 25km flat loops around the valley. As always the rule is that nobody will be left behind so bring your TT, road or mountain bike and complete as many or as few laps as you feel inclined. The group ride is meant to be an easy session, it is not a race. Bring cash for coffee and/or breakfast afterwards if you wish. It’s looking pretty warm for the first half of the week so again please take care out there. We’ll do what we can to ease the effects for you at our sessions but remember to slip, slop, slap and sip while modifying your session if needed. Here are some tips on training in hot weather from Matt Fitzgerald of Triathlete Magazine. Ray Owen Reserve at 6pm for a warm-up, some solid intervals to be finished by 7. There is no minimum fitness level required as the session will be modified based on your individual requirements. Fremantle Triathlon Club have invited all members and associates of Perth Hills Tri Club to join them in their “Splash and Dash” (swim/run) race at Coogee. Registration starts at 5:30 with the kids and juniors race kicking off at 6pm. Entry is free to all Perth Hills members and $1.50 for non-TWA members to cover insurance costs. The tent will be up so come along and join the fun by supporting if you’re not racing. Post race bragging and excuse making is actively encouraged! To plan your coming weeks sessions head over to our training calendar.